Save an Additional 10% on Your Lodging! Simply Steamboat in Steamboat Springs, Colorado is pleased to offer IKON Passholders exclusive lodging discounts for the 2018/2019 winter season! Sign up to receive your exclusive IKON Pass promo code, good for an additional 10% off our current lodging discounts through April 15, 2019. 1 PASS. 36 DESTINATIONS: North America's top mountain destinations have joined together to offer skiers and riders the IKON Pass! This pass takes you further with unlimited access to 14 destinations (Steamboat included) plus 7-days at each of the other 21 additional destinations - with zero blackout dates. The IKON Pass also includes a Friends & Family benefit of 10 single day lift tickets at 25% off the window rate. 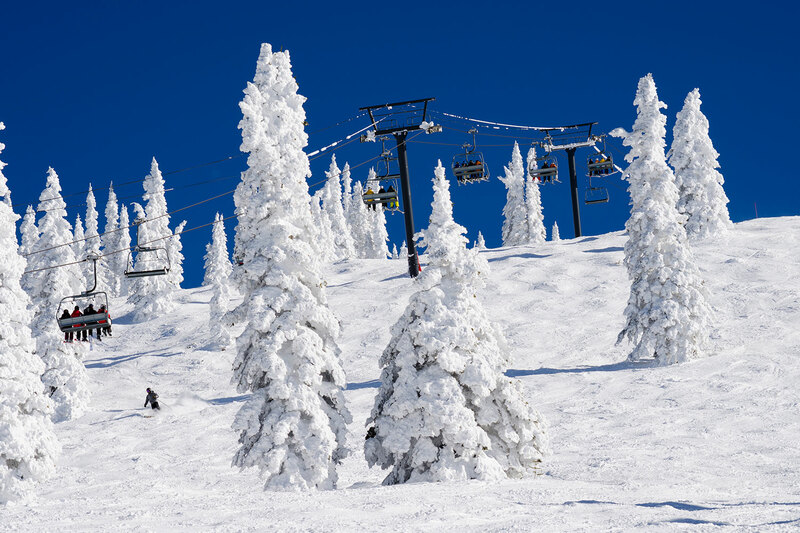 Additional benefits include retail and dining discounts at Steamboat resort owned locations. The Ikon Pass is available for purchase at www.ikonpass.com. Share your email address* with us for instant access to an exclusive promo code worth an additional 10% off our current lodging discounts. * By the way ... we guard your address like a secret powder stash, and will not share it with anyone. In addition to receiving the exclusive IKON Pass lodging promotion code, you'll be signed up for our newsletter. We send out emails 2 to 4 times each month. They are packed with great ideas for what to do on your vacation to Steamboat Springs ... from signature events and unique activities, to local's tips, breaking news, epic powder days, and of course, special lodging deals.